Well, I have the memory of a goldfish. I missed out my little split rock plant in my other post! How rude of me. Here it is then. 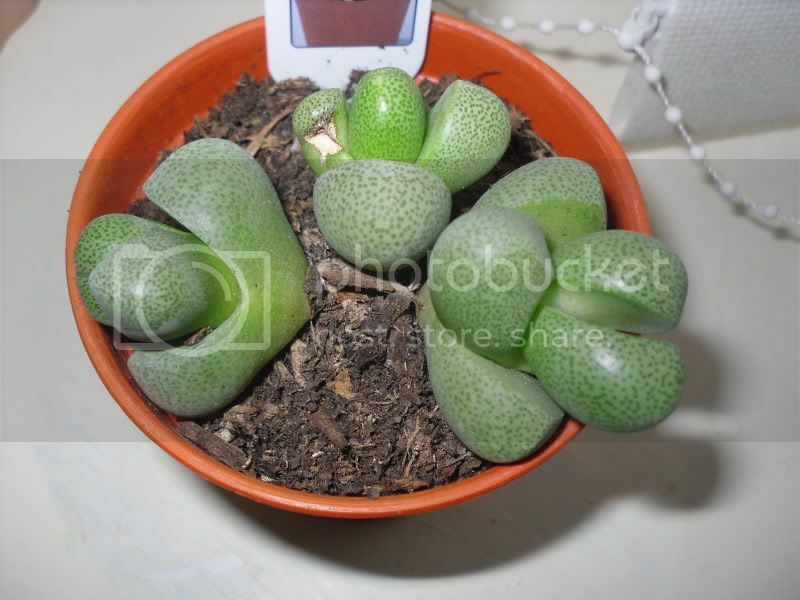 Otherwise known as Pleiospilos Nelii. These plants like the sun and will rot quickly if watered too much, or if water gets between their cracks. As I found out, as this is my second split rock. I water it from the bottom so I avoid getting the fleshy leaves wet and this one has lasted quite a while now! I think it's pretty cool looking. In other plant news, my polka dot plant (which I thought was just a foliage plant) has flowered! It has pretty little purple flowers on. Lookit!